different flavors and textures on your Thanksgiving plate, so you really want a “bridge” wine that will harmoniously blend and stand up to the cornucopia of goodness on your holiday table. Your wine selection should be a vinous highlighter working in concert with every dish, not competing for top billing! Consider starting your festivities with a sparkling wine as an aperitif and then opt for a white and a red selection for your main course and let your guests decide what pairing they enjoy the most. 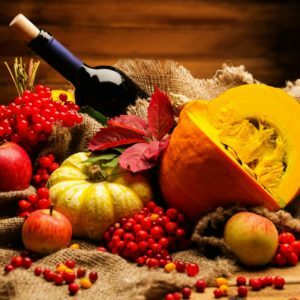 White Wines: In general, when it comes to selecting versatile Thanksgiving wines, look for a white wine with mouthwatering acidity like an off-dry Riesling from Germany, an Alsatian Gewürztraminer or an unoaked Chardonnay to cut right through the gravy and cream sauces. If you typically prefer a heavier, oaky and buttery Chardonnay, it will overpower your meal. A moderately oaked Chardonnay with vibrant acidity will be the better option wit h this meal. A floral and aromatic Viognier or dry to off-dry Petit Manseng can also work wonders with your Thanksgiving Feast. Red Wines: When it comes to red, opt for a fruit-forward wine like a Pinot Noir or Beaujolais with vibrant acidity and moderate tannins. Keep in mind, turkey is a blank canvas and is pretty lean, so something too tannic will compete against the food. A Cabernet Franc can be a nice option too, with its typical notes of raspberry, violet and sage. This can work wonders with a sausage, sage & cranberry stuffing. Cabernet Franc is considered the Pinot Noir of Bordeaux and Virginia is producing some exceptional bottles of this varietal. A dry rosé or off-dry rosé is also another excellent option, it’s approachable and versatile with good acidity and it tends to please both white and red wine drinkers at your table. Since Thanksgiving is an all American holiday, I thought it would be nice to share some of my favorite finds from Virginia that would make an excellent addition to your Thanksgiving table. To say that Thomas Jefferson was passionate about the fruit of the vine would be an understatement. In fact, he tried relentlessly for three decades to make wine at his Charlottesville estate and never produced a single drop. America’s first wine connoisseur saw tremendous promise in this fertile land and Jefferson’s lifelong dream of making Virginia a world class wine destination is finally being realized two centuries later. So, why not pay tribute to the grandfather of American wine this Thanksgiving by toasting with a fabulous glass of Virginia wine. 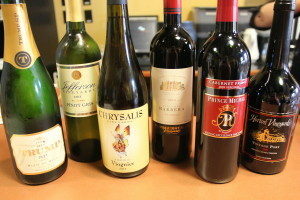 Go support your local wine merchant and Virginia farmers this holiday season with these great selections. On this episode of Crystal Palate’s Wine Country, we’re taking a step back in time and honoring the great Thomas Jefferson by talking with Christine Vrooman, who not only owns Ankida Ridge Vineyards in Amherst, but is a Founding Member of the Jefferson Heritage Trail. From Monticello to Poplar Forest – Christine is going to tell us all about the trail, the concept of regionalism and how you can enjoy the many sights, sounds and sips offered along the Jefferson Heritage Trail. We’ll also take a little trip down to Hampton Roads to talk about one of the largest charity auctions on the East Coast. 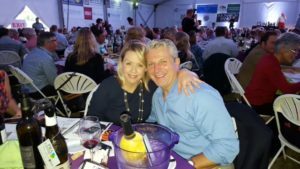 My guest Jon Wheeler will tell you everything you need to know about the 26th annual Chesapeake Bay Wine Classic coming up on November 12 in Virginia Beach. Plus, I will unveil my wine of the week that deserves a place at your Thanksgiving dinner table. 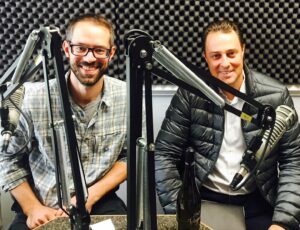 Crystal Palate’s Wine Country airs every Saturday morning at 8:30 on Cville 107.5 and 1260 WCHV. You can stream the show live each week on WCHV.com in the Charlottesville market or by downloading the Tune In App or catch up on past episodes here. I love using lemons and wine to cook with. The two combined provide a refreshing acidity to any dish and when you are going low carb, it’s all about packing a flavor punch. It’s easy to get bored with baked or poached chicken, so I spiced it up tonight a little with a Meyer Lemon Rosemary Chicken. I have found that almond flour is a great way to add a little texture to meat. You can use regular lemons, but I find Meyer lemons are a little sweeter and tend to pack more juice. When choosing wine for this dish, you definitely want to stick with a white varietal and there are many that work. You want a wine that mirrors the citrus note and that has medium body. If you haven’t tried a Viognier, this is a great choice. Viognier is the official state grape of Virginia and is indigenous to the Rhone Valley of France. Viognier is quite unique, it tends to have the similar body of a Chardonnay, bright citrus notes of a Sauvignon Blanc and some of the floral aromatics of a Riesling. It’s a great choice when you are tired of the same old Chardonnay or Sauvignon Blanc. It’s highly aromatic, but it’s not sweet. Keep in mind Viognier is difficult to grow and can become bitter when conditions aren’t perfect. There are several other wines that would work quite well with this dish such as a nice Chablis, Pouilly Fuisse or unoaked Chardonnay from the U.S. Since I am a Virginia girl, I need to recommend the Chatham Vineyards Church Creek Steel Chardonnay. They use dijon clones and make a really great unoaked Chardonnay with vibrant acidity and nice minerality that may remind you more of a Burgundian style than a typical American Chardonnay. It also offers a great value at under $20 a bottle. 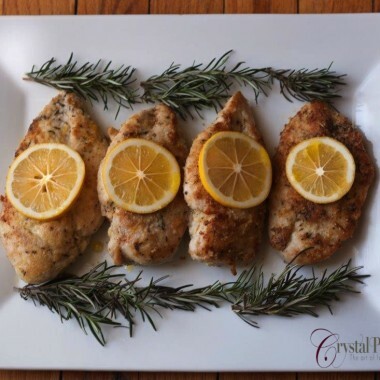 Brush a thin coat of olive oil on the chicken, then sprinkle salt, pepper & Herbs de Provence on both sides of the chicken. Then dust both sides in a thin layer of almond flour to provide a little texture and nutty flavor. Heat olive oil in a large saute pan (oven proof) and sear chicken on both sides for 5 minutes or until golden on each side. This will help lock in the juices. Add juice & zest from 1 lemon and 1/4 cup wine to the chicken. Put in oven and bake for 25 minutes. Let rest for 10 minutes before serving. 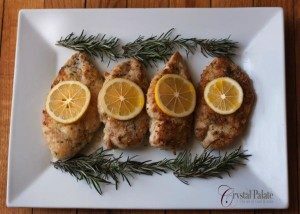 Garnish with rosemary and lemon slices. 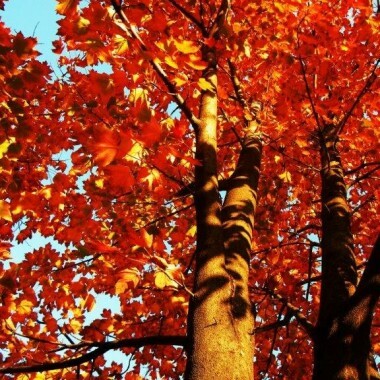 I love the crisp, refreshing burst of autumn air on a cool October morning. 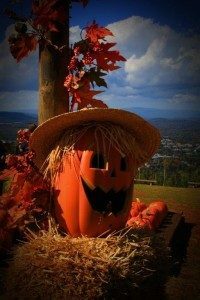 In my humble opinion, there is no better way to celebrate fall than by taking a drive along the winding roads of the Blue Ridge Mountains and looking out at the rolling hills that span the heart of Virginia Wine Country. This time of year conjures up images of ripe, plump grapes, a bountiful harvest and vibrant colors bursting from the trees that paint a magnificent landscape throughout Central Virginia. For those of us lucky enough to call Virginia home, this is simply a way of life. Pumpkin Patch at Carter’s Mountain, Charlottesville. I had the privilege of living in Charlottesville for a few years and the lifestyle simply can’t be beat. Virginia boasts more than 200 wineries with nearly half of them located in the Monticello AVA (American Viticultural Area). I would highly recommend you visit the Charlottesville area to experience firsthand why Virginia has become the East Coast destination of choice for wine lovers. President Thomas Jefferson, America’s first wine connoisseur saw tremendous promise in this fertile land and his lifelong dream of making Virginia a world class wine destination is finally being realized two centuries later. Come experience all of the beauty and serenity this region has to offer. Crystal Palate has you covered with recommendations on some of our favorite wineries, Inns and restaurants. 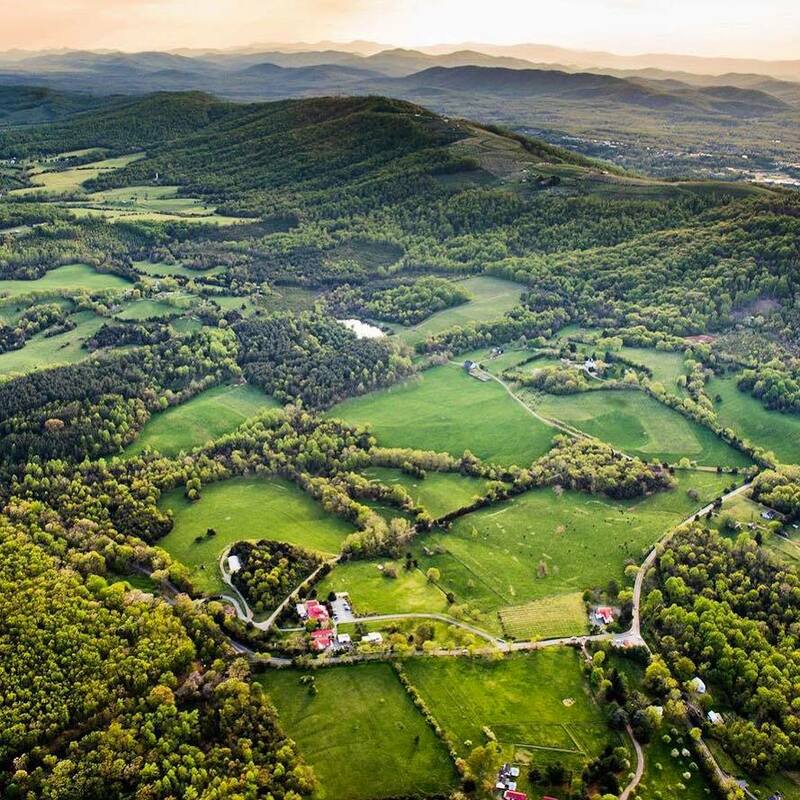 Swirl & sip your way through the regions wine tasting rooms, savor sumptuous truffles at Gearharts Chocolates, dine at some of the area’s finest restaurants, relax in luxury at some of the most beautiful Inns in the country and perhaps take in a football game at UVA. Round out your visit with a trip to Carter’s Mountain for a little apple picking. There is a little something for everyone here. So what are you waiting for? Thomas Jefferson’s homeland is calling your name. 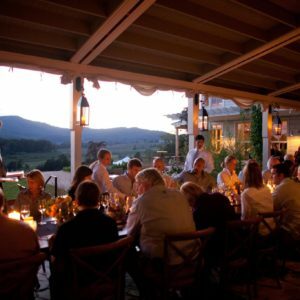 Barboursville Vineyards – Founded in 1976, the Zonin family has played a formidable role in establishing Virginia as a world class wine destination. Cardinal Point Winery – Nestled in the heart of Virginia Wine Country you will find this cozy & quaint tasting room. The A6 is a must try. Jefferson Vineyards – Jefferson may have never produced a bottle of wine in his 30 year effort. Two centuries later, the vines at his estate are flourishing. Keswick Vineyards – Breathtaking scenery. The 2002 Viognier Reserve won best white wine in America. King Family Vineyards – King Family has become synonymous with Polo and the family is known for their philanthropy efforts. They also make great wine and were awarded the Best Winery in 2013 in the C-Ville’s, Best of C-ville edition. Moss Vineyards – A newcomer to the Virginia wine scene. Barry Moss is producing some beautifully balanced Bordeaux style blends. Trump Winery (formerly Kluge Estate) – Produces some of the finest sparkling wines on the East Coast. The Blanc de blanc is sensational. Veritas Vineyards & Winery – You will fall in love with the ambiance. Bring your sweetie and snuggle up by the fire with a nice flight of wine.